You know what’s worse than fake news appearing on my Facebook newsfeed? 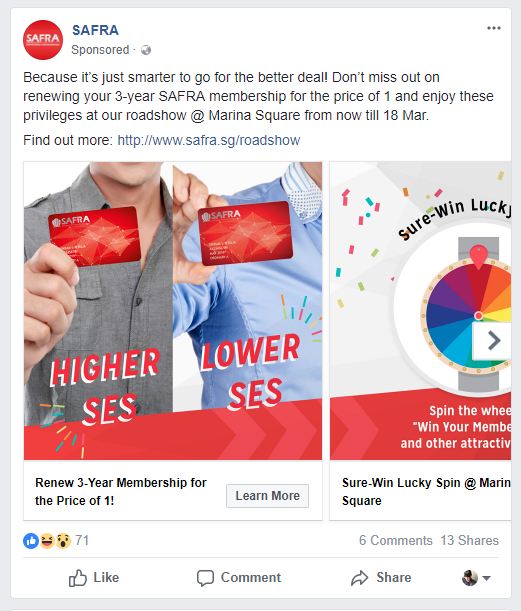 Okay, maybe the sponsored post by Safra I saw last week promoting its roadshow wasn’t exactly news, but I was certainly confused by it. The post showed two pictures side by side of a guy holding a Safra membership card. One picture was labelled “Higher SES”. The other was labelled “Lower SES”. At first, I was thrown off by the abbreviation, SES, since it obviously couldn’t be a reference to the K-pop group SES, which I had never heard of. 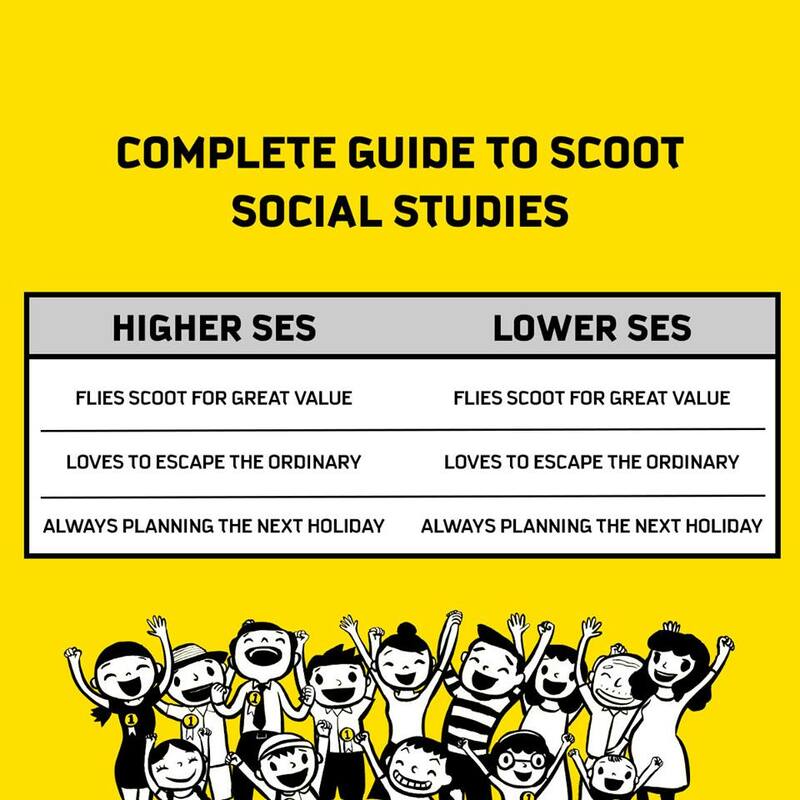 Then I realised SES stands for socio-economic status, which, by now, Safra expects everyone to know after the study guidebook controversy last week. The book in question is, of course, the Complete Guide To GCE O-Level Social Studies Volume 1. Someone on Facebook posted that he was “appalled” by how the book defined people of lower SES as football-playing, hawker centre food-eating Singlish speakers who work part-time jobs during school holidays. People of higher SES, on the other hand, are golf-playing, expensive restaurant-dining formal English speakers who go on annual holidays. The post went viral and the Ministry of Education quickly distanced itself from the book by saying the study guide is not on the ministry’s approved textbook list. This from the ministry that created the educational divide by separating children into Express and Normal streams. Anyway, one problem I have with the way the book differentiates people of higher SES and people of lower SES is that it is inaccurate and incomplete. For example, the book left out that people of higher SES drive Ferraris whereas people of lower SES get slapped by people who drive Ferraris. Also, people of higher SES shout obscenities at McDonald’s employees over ice cream whereas people of lower SES shout obscenities at police officers after beating up people in Geylang. It would have been understandable if it were over McDonald’s chocolate pie. But clearly, there is a distinction between higher and lower SES, which was why I found the Safra post so confusing. There was no difference that I could discern between Safra membership card labelled “Higher SES” and the one labelled “Lower SES”. Apparently, one man’s controversy is another’s marketing opportunity as I also saw similar Facebook posts by Scoot and Holiday Inn Express Singapore Katong where the traits for both the higher and lower SES are identical. Oh. I think I get it now. So what Safra was trying to say (along with Scoot and Holiday Inn) is that regardless of your SES, we’re all the same? I must remember that the next time I see a BMW taking up two parking spaces. Please excuse my eye roll.